The historic Central Terminal in Buffalo. Opened in 1929, the iconic Art Deco masterpiece Buffalo Central Terminal operated for 50 years serving more than 200 trains and 10,000 passengers daily until it officially closed as a train station in 1979. Today, the 18-acre Buffalo Central Terminal site is owned by the non-profit Central Terminal Restoration Corporation (CTRC). It is the mission of CTRC to refurbish and repurpose the property on Buffalo's East Side. In June 2017, Empire State Development in cooperation with the City of Buffalo and the ULI Foundation sponsored a week-long Urban Land Institute study of the Buffalo Central Terminal's potential for rehabilitation and reuse. After interviewing regional stakeholders, analyzing local context, and engaging in several intensive design charrettes, the Urban Land Institute team concluded the site could be a great asset to the community by providing activity space and opportunities that appeal to a diverse clientele. In the immediate future, the complex would see new life, it recommended, by making various capital improvements to the building and surrounding site so it can be used as year-round “flexible space” for events. Full capacity for catering and entertainment. To enhance Buffalo Central Terminal’s capacity for generating revenue from rental fees, multiple capital improvements will also be made inside the main terminal building. These improvements are both aesthetic and functional, as the Concourse, and its adjoining spaces need to allow for the attainment of a Temporary Certificate of Occupancy upon completion of the Project. The Central Terminal Restoration Corporation is in the process of selecting qualified architecture and engineering consultants for design and construction administration services. Conceptual design work will begin immediately after a contract is awarded by the CTRC board, with construction to be bid in the fall of 2019. Consultants will work collaboratively with the CTRC and Empire State Development throughout the design and construction process to ensure that all capital improvements are constructed to the highest possible architectural standards that funding will allow. A $5 million investment from the Buffalo Billion Initiative will support the implementation of the Urban Land Institute’s recommendations for the historic East Side landmark, Buffalo Central Terminal. This investment will help breathe new life into the landmark, redevelop the complex to meet the needs of the growing and diverse community, and restore one of the region's rich architectural assets to continue building economic momentum throughout the region. 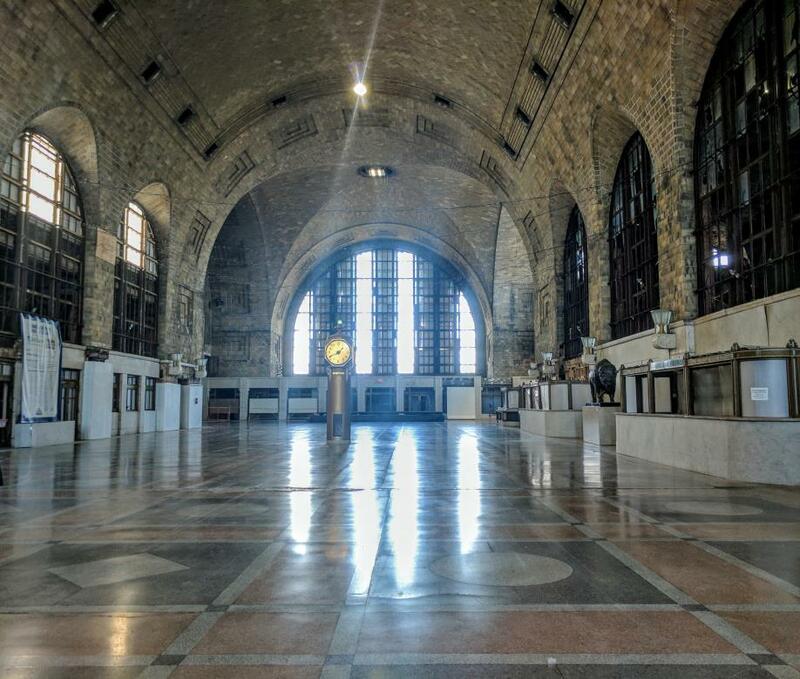 Funding will be administered by the Central Terminal Restoration Corporation and will focus the investments on restoring the Terminal's historic concourse in order to make the space fully functional for community and private use. View the full Urban Land Institute report here.